A rousing ovation from University of Oregon employees and boosters greets Willie Taggart at his first press conference as Ducks football coach. The 40-year-old comes to Eugene after compiling records of 24-35 at South Florida and 16-20 at Western Kentucky. Excitement reigns, and the 40-year-old Taggart is enthusiastic. "Buckle up, because it's going to be fun," he says. Taggart is described as warm, engaging and funny. "We are thrilled," Oregon athletic director Rob Mullens says. "We have a very bright future under his leadership." 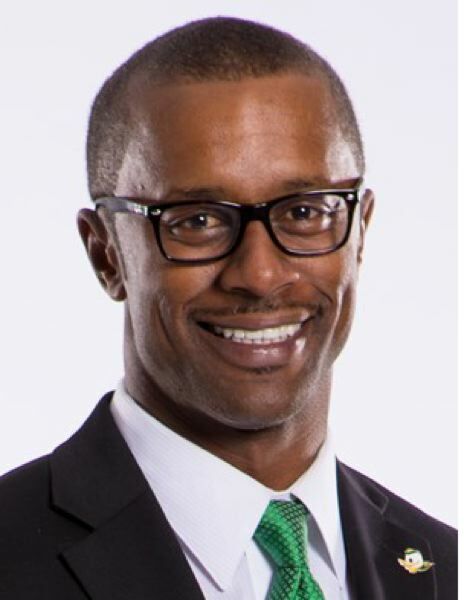 Taggart admits to "a lot of mixed emotions" upon leaving South Florida, but says Oregon has "a chance to win a national championship; that's what we're going to do." The successor to fired coach Mark Helfrich signs a five-year contract worth nearly $3.3 million per year. UO still owes Helfrich $11.6 million for three years. Taggart says he can hardly wait to get to work. "You've got to work, you've got to work, you've got to work, and the most important thing is you've got to have the patience to see it through," he says before ending his presser with one of his catchphrases: "Have a great day if you want to."